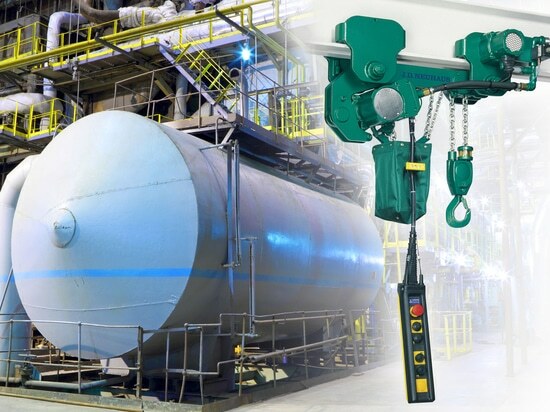 Manufactured under the company’s mantra ‘engineered for extremes’, thousands of JDN pneumatic and hydraulic hoists and crane systems are in service worldwide, with many operating in harsh conditions such as those found on oil and gas platforms, or in mines or foundries. 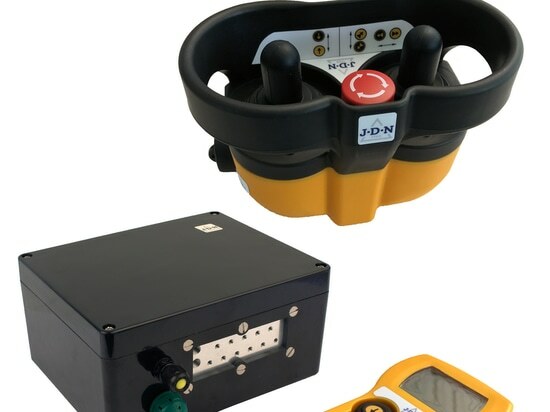 Underwater environments and extreme temperatures (as low as -45°C) are also familiar territories for JDN products, which are renowned for their operational reliability under even the most adverse conditions. 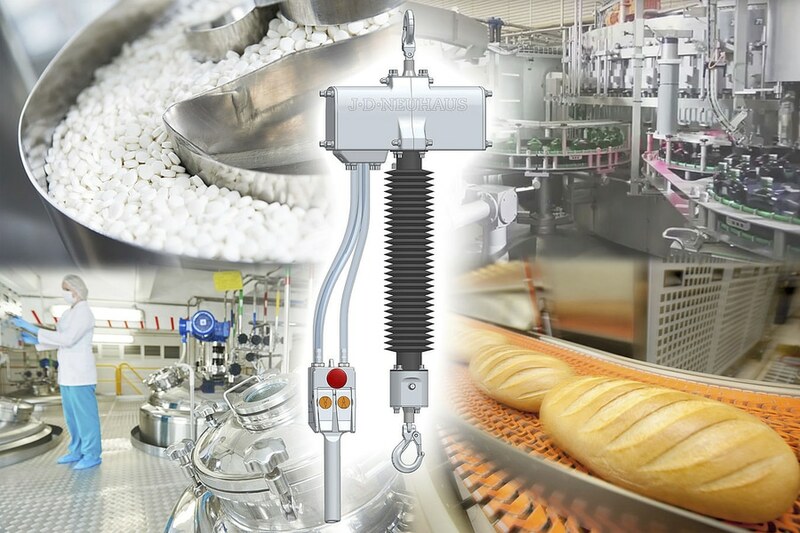 Of course, some indoor applications can be just as testing as external ones, particularly when it comes to equipment that needs to operate in extremely clean and hygienic environments. 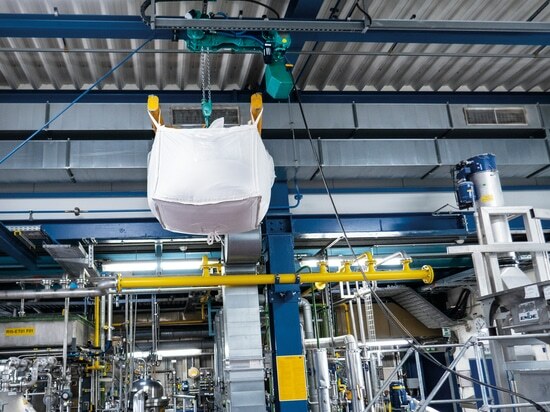 Indeed, growing demand in this area is what prompted JDN to undertake its conceptual study of a stainless steel air hoist, the results of which will be presented to visitors at CeMAT 2016. 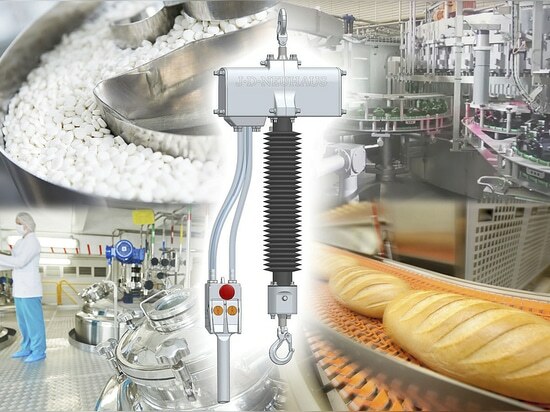 There are clear target markets for stainless steel air hoists, such as the food and beverage sector, for example, as well applications in the chemical, pharmaceutical, medical and aerospace industries. Visitors to the stand at CeMAT 2016 will see that JDN’s detailed study assesses the benefits of using compressed air as a method of operation in combination with stainless steel as the hoist’s construction material. Resistance to corrosion and high levels of humidity will therefore be assured, while the products will also be easy to clean and disinfect, even using high-pressure cleaning equipment. 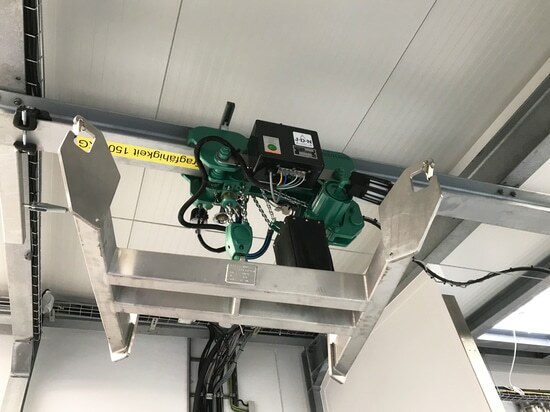 Cleanroom-based users in the optical and semiconductor industries would also benefit from the use of a stainless steel air hoist. This is because expelled air is extracted, while a bellows is deployed to protect the chain.